And as per my fundamental target price theory fundamental target for this stock is 16.83, After my recommendation stock recently touched 16.50 on 09.08.2016 and came back on 15.42. So now I think it is the time to book our 100% profits @15.42. Why I recommended profit booking in this stock: - We got 100% returns in our six months holding period. Now the stock traded near his fundamental target price So profit booking recommendation is not a sign of down-trend. Why I do not put new buying recommendations on this blog: - I work hard to scan new stocks which full fill all of my criteria's and every day scan 20-50 stocks so when I find a new stock which looking good to publish here then I automatic post it here. Then they confused and ask me that why I do not recommend Country Club Hospitality and Holidays Ltd on my blogs yet? In 2014 CCHHL touch 23.50 but I do not advise to book profit on any of my blogs because CCHHL is the same story like Arvind Mills. So every of my followers must buy at least 500 stocks of CCHHL for the real long term ( 3 to 5 year ) and get an unbelievable return, Please do not greedy and do not buy more quantity at once or If you wish to buy more quantity then you may buy it in SIP method. ( like me). 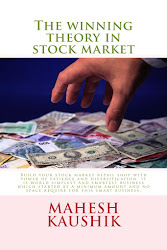 The country club is my fancy stock like Arvind Ltd, if you read my Chandu Chinki book then you find that how I forecasted good future of Arvind Ltd in 2009 when the stock traded near 12-13 only. 1 Me and my associates or relatives have not hold any share of Khaitan Chemicals & Fertilizers Ltd so my personal interest is not included in this stock but me and my wife both hold near 5000 stocks of Country Club Hospitality and Holidays Ltd so my personal interest is included in this stock.2. Me and my associates or relatives have not any actual/beneficial ownership of one percent or more securities of the subject companies (Country Club Hospitality and Holidays Ltd & Khaitan Chemicals & Fertilizers Ltd). 3. Me and my associates or relatives have not any other material conflict of interest at the time of publication of the research report. 4. Me and my associates or relatives have not received any type of compensation from the subject companies(Country Club Hospitality and Holidays Ltd and Khaitan Chemicals & Fertilizers Ltd) in the past twelve months. 5. I am not served as an officer, director or employee of the subject companies (Country Club Hospitality and Holidays Ltd and Khaitan Chemicals &Fertilizers Ltd). 6. I have been not engaged in market making activity for the subject companies (Country Club Hospitality and Holidays Ltd &Khaitan Chemicals & Fertilizers Ltd).